What about Shingle Rot Leads to a Need for Palo Alto Roof Replacement? As sturdy as your roof’s shingles might be against the harsh California sun and heat, they most certainly won’t last forever. They protect your home from the elements 24/7, 365 days a year, so naturally the materials will degrade over time thanks to the effects of weathering; that will prompt you to depend on reliable contractors like Shelton Roofing for roof replacement in Palo Alto. What exactly, however, are the factors that contribute to this natural deterioration? When getting a roof replaced or installed, your contractor will give you a wide selection of shingle options; it might be asphalt, wood, slate, tile or even composition shingles, and each one of these choices have varying levels of durability and longevity. Asphalt shingles for instance could last for 20-30 years, but slate outlasts them at 50. These factors will determine how quickly your roof will weather the elements (given normal upkeep or maintenance). Bad roof ventilation can cause a plethora of problems for the homeowner and the house itself. For one, it can cause mold and mildew to form inside the roof’s structure and seep out into the shingles, further degrading the longevity of the materials. It can also cause excessive attic heat in the summer and ice dams in the winter. 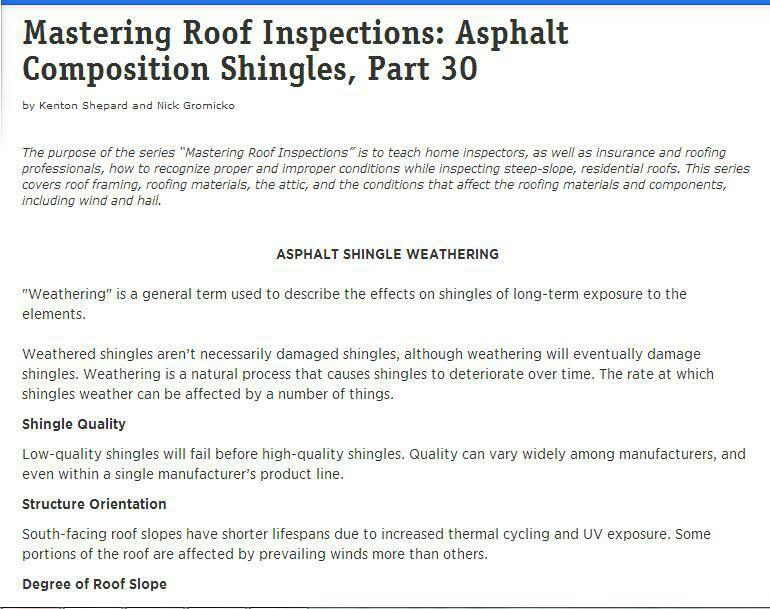 He also mentions that thermal cycling, or the natural shift in daily temperature in a certain area, also has a significant effect on the deterioration of roof shingles. As a homeowner, you too have a large part to play in how well your roof weathers the elements and how long it will keep on doing it– depending on your roof maintenance practices. Keeping your entire roof system clean and having it repaired when needed could work wonders for its longevity, which explains the importance of regular roof inspections, especially after inclement weather like storms, hail showers, and so on. Always keep your roof shingles well-maintained so they will live past their average lifespan. You can also solicit the help of reliable roofing contractors in Palo Alto, CA, especially when it comes to roof repairs, replacement, or re-roofing services. If you’re getting a replacement, be sure to choose very durable and long-lasting materials.